On 4th April 2013, President Mahama sworn in Dr. Wampah substantively as governor of the central bank amid serious fiscal imbalances caused mainly by election spending in 2012. 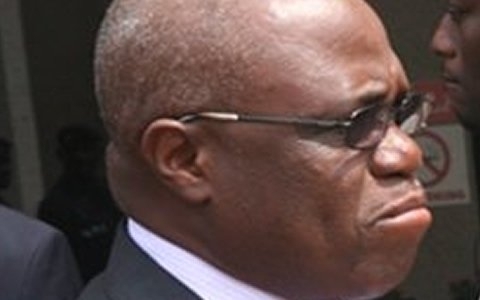 Dr. Wampah, whose term officially ends on 5th August, 2016 told Reuters yesterday 29th March, 2016, he had informed President John Mahama of his intention to leave by the end of this month, adding the decision was partly linked to presidential and parliamentary elections planned for November. Can this be enough for his resignation? It is the role of every central bank to ensure price stability in an economy, stable foreign exchange rate and full employment but the governor’s resignation comes amid high inflation rate, high interest and a relatively stable cedi for the first quarter of 2016. Consumer price index inflation for February stood at 18.5% from a six-year record high of 19% in January 2016. Monetary policy rate currently stands at 26.%. The cedi has lost about 94%of its value against the dollar since January 2013. The outgoing governor came under intense criticism following the microfinance scandal; Ghana’s version of Ponzi scheme in the U.S.A. President Mahama in his 2016 state of the nation address blamed the central bank for lack of supervision that caused the financial scandal in the microfinance industry. He then assured customers of Diamond Microfinance that, their deposits will be refunded without the interest on their savings. The scandal has caused mayhem, riots and death of some depositors in especially Brong Ahafo region. Dr. Wampah played a key role in securing a US$918 million Extended Credit Facility programme with the International Monetary Fund in April last year. He has also played a significant role in formulating the Deposit Protection Bill and Banks and Deposit Taking Institutions Bill which are currently before parliament. These bills when passed will boost confidence in the banking industry and ensure financial stability. It is likely that, Millison Narh or Abdul Nashiru Issahaku will succeed Dr. Wampah. Millison Narh is a banker and chartered accountant and has been deputy governor since 2009 whiles Abdul Nashiru Issahaku is the second deputy governor and was appointed in July 2013. Whoever succeeds Dr. Wampah has a daunting task of ensuring price stability in the economy, stable currency and full employment. The resignation of Dr. Wampah is not a good news especially in an election year and when the country is also on an Extended Credit Facility bailout with the IMF. This can affect the achievement of targets stipulated in the bailout. It can also dwindle investor confidence since the reason given for the resignation is not too solid. The cedi can also depreciate against the major trading currencies. When President appoints a substantive governor in the foreseeable future, the shocks to this economy could be minimized.